We at present have the following Heated Pools in Valencia, but we are continually grateful for any corrections or contributions. Get in touch via our contact form. For Valencia and its vicinity, we're showing you all the registered Swimming Pools, a few of them have no GPS coordinates and you're not discovering them at the map. The finest pools to swim are surely indoor olympic pools. Swimming can be a sport for all ages. It assists young people today to tone their muscles and grow healthful and robust. 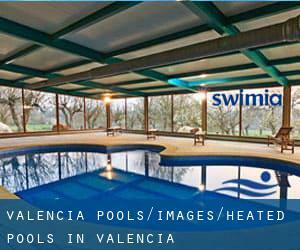 Looking for Heated Pools in Valencia? Lots of of them belong to gyms or sport centers which also present lessons. Not all countries are the exact same, and swimming regulations and rules are changing from one country to another. Holding an estimated population of 334.757, Alicante is one of the most important cities in Valencia. Check all the Swimming Pool in Alicante and its surrounding area. Swimming is really a superb idea to help keep your body active during your visit to Valencia (Valencia), or even for anybody who is a local. Swimia helps you to discover your closest Swimming Pool in Valencia. It's hard to visit Valencia with no dropping by Orihuela (with 86.164 residents). Presently Swimia is showing you all of the Pool in Orihuela along with the closest pools located in its vicinity. Let us tell you a secret to switch off while you are in Torrevieja: just opt for a Swimming Pool in Torrevieja and plunge into the water! There's no even more productive approach. Without a shadow of a doubt, swimming in Elche could be the greatest method to unwind following work. Take a couple of minutes to browse Swimia's catalog to find a Swimming Pool in Elche. Whereas Castellón de la Plana is among the six most populous cities in Valencia with nearly 180.005 residents, you shouldn't miss that one if you're going to Valencia. Updated on 2019 Avinguda de Pío XII, s/n , Valencia , Spain (Postal Code: 46015). This sports center provides 25 meters, 6 lanes, Indoors. For this Swimming Pool, only phone number is number here. Updated on 2019 Avda. Comarques Valencianes, 317 , Quart de Poblet , Spain (Postal Code: 46930). This sports center provides 20 meters x 10 meters, 5 lanes, Indoors. For this Swimming Pool, only phone number is number here. Updated on 2019 Calle del Padre Damián , l ´Eliana , Spain (Postal Code: 46183). Among all the activities offered by the center, in case you are thinking about swimming you'll get pleasure from 25 meters, 8 lanes, Indoors. If it is advisable to contact this Swimming Pool, email address and phone number are both number. Updated on 2019 Paseo de la Alameda, 21 , Valencia , Spain (Postal Code: 46010). Among all the activities offered by the center, if you are interested in swimming you might take pleasure in 25 meters, 8 lanes, Indoors. Just in case you wish to contact this Swimming Pool just before dropping by, we only know the phone number. Updated on 2019 Camino Vera, 14 , Valencia , Spain (Postal Code: 46021). This sports center delivers Olympic size, 6 lanes, Indoors. Contact data for this Pool which include phone number and email address are number. Updated on 2019 Azagador de las Monjas 10 , Valencia , Spain (Postal Code: 46017). This sports center provides 25 meters, 6 lanes, Indoors. For this Swimming Pool, only phone number is number here. Updated on 2019 c/ Foguerer José Ángel Guirao s/n, 03015 Alicante. Updated on 2019 Carreer de les Columbretes, 20 , Castellon de la Plana , Spain (Postal Code: 12003). Swimmers like you reported Olympic size, 8 lanes, Indoors. Phone number and e-mail address are number for this Swimming Pool. Updated on 2019 Calle Jaime Castañer , Requena , Spain (Postal Code: 46340). Among all the activities provided by the center, if you're enthusiastic about swimming you'll enjoy 25 meters, 6 lanes, Indoors. Just in case you need to contact this Swimming Pool before dropping by, we only know the phone number. Updated on 2019 San Vicente de Paúl 10 , Valencia , Spain (Postal Code: 46019). Swimmers like you reported 25 meters, 6 lanes, Indoors. Unfortunately we do not have the email address of this Pool, but we can provide you with the phone number. Updated on 2019 Carrer Jaume I, s/n , Alaquas , Spain (Postal Code: 46970). Swimmers like you reported 25 meters x 16.6 meters, Indoors. Phone number and e-mail address are number for this Swimming Pool. Updated on 2019 Partoda Muixara, s/n , Nucia , Spain (Postal Code: 03530). This sports center offers 25 meters, 8 lanes, Indoors. For this Pool, only phone number is number here. Updated on 2019 Carrer de la Ronda de Bruguieres , Xeraco , Spain (Postal Code: 46770). Among all of the activities offered by the center, for anybody who is interested in swimming you can expect to enjoy 25 meters x 12 meters, 6 lanes, Indoor/Outdoor. Just in case you would like to contact this Pool prior to dropping by, we only know the phone number.